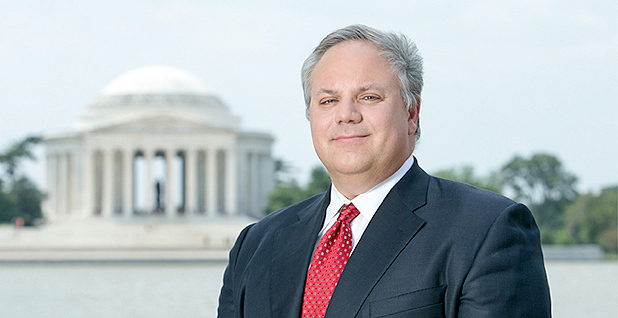 Interior Department nominee David Bernhardt has kept advising California's politically active Westlands Water District even after he withdrew his formal registration as a lobbyist last year. The consultations have involved California water legislation and other issues potentially under the jurisdiction of the Interior Department that Bernhardt might soon be helping lead. The work has not, however, entailed leaning directly on lawmakers or agency officials. "The moment he deregistered as a lobbyist, he ceased all lobbying activities on our behalf," said Johnny Amaral, Westlands' deputy general manager. "He does, however, still consult for us and give us legal advice." Now, as the Senate prepares for its first vote tomorrow afternoon on Bernhardt's nomination to serve as the department's deputy secretary, opponents are scrambling to uncover more documentary evidence of his ongoing private-sector work. Through a series of state Public Records Act requests, environmental activists in California have already picked up some of Bernhardt's trail. "I think it's strange," said activist Patricia Schifferle, who obtained the Westlands documents. "It appears that he is continuing to provide service to the district." Bernhardt was registered as a Westlands lobbyist between June 2011 and Nov. 18, 2016, when he was a member of the Trump administration's Interior Department transition team and starting to be seen as a potential nominee. He was formally nominated in April, prompting concerns by environmentalists and some top Democrats (Greenwire, May 2). In addition to having lobbied federal agencies on the district's behalf, Bernhardt has represented Westlands in court. In a Jan. 2 email to two top Westlands officials, sent about six weeks after he dropped his Westlands lobbying registration, Bernhardt offered what he called "a short draft letter that is intended to be consistent with the discussion we had on the phone this afternoon." The letter itself was not provided in response to the Public Records Act request, but the email chain shows Westlands General Manager Tom Birmingham about three hours later on Jan. 2 thanking Bernhardt for "taking the lead" on the letter. The previous month, on Dec. 2, 2016, Amaral advised Birmingham by email of another document that had been "reviewed and edited by David Bernhardt" and a colleague at the Brownstein Hyatt Farber Schreck firm. Other documents obtained through Public Records Act requests identify similar work, though Schifferle and her allies say they've also been frustrated in their investigative efforts. In a June 9 letter to California Attorney General Xavier Becerra (D), the Sacramento-based Planning and Conservation League had declared that "the requested records are urgently needed" before the full Senate acts on Bernhardt's confirmation. The first Senate vote, a so-called cloture motion to end debate and take up his nomination, is set to happen tomorrow. "The nominee has not disclosed potential conflicts of interest that are relevant to the position for which he has been nominated," Jonas Minton, senior water policy adviser for the Planning and Conservation League, said in an interview. Bernhardt says he will comply with applicable conflict of interest rules and regulations regarding recusals (E&E Daily, June 5). And his supporters cite his past work as a point of strength. "Bernhardt's extensive experience ... and his esteemed legal career is exactly what is needed to help streamline government and make the Interior and our public lands work for the American economy," Interior Secretary Ryan Zinke said after Bernhardt's nomination. More recently, Western Republican senators have been urging final Senate action on Bernhardt, with GOP Sen. Cory Gardner of Colorado last week stressing that Bernhardt is "held in high professional regard" while blasting "a partisan minority in the Senate" for trying to slow-walk the nomination.